Vyvanse Cost: What Are The Official And Street Prices? Vyvanse drug is a high-end medication that achieves exemplary results when used to treat Attention Deficit Hyperactivity Disorder (ADHD) or binge eating disorders. To get the best long term value for money, a review of Vyvanse prices and offers from different suppliers and outlets informs on the most cost-effective approach to acquiring a full dosage. What Are The Official Vyvanse Price? Why Is Vyvanse So Expensive? What Are Vyvanse Costs Without Insurance? What Are Vyvanse Street Prices? How Can You Save On Vyvanse? Lisdexamfetamine is in the controlled substance category as it actively stimulates the nervous system and leads to severe dependency once it is misused. Order Vyvanse online need be facilitating with exercising precaution by doing a thorough background check on the suppliers to ensure the drugs supplied are original. The retail cost of Vyvanse is not standardized. However, the price margin is not far apart especially for the lowest dose of Vyvanse. 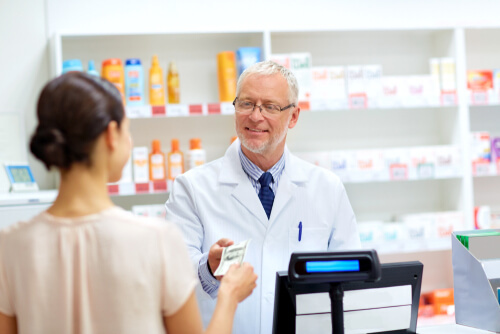 The main reason behind price fluctuations between different pharmacies is incentives such as coupons and insurance. Big pharmaceutical stores tend to enjoy more economies of scale hence are more flexible with their prices. Still, lisdexamfetamine is quite expensive. Apparently, the stimulant drug is relatively new to the market, and its patent is yet to expire. This means it has no generics that would bring down its cost to make it affordable to a wider scale of people. Most insurance covers and Medicare plans do not include lisdexamfetamine in their policy. Hence, there are limited ways around its initial price. Cost of Vyvanse without insurance increases exponentially, thus, affecting the budgets of most people. For instance, the average cost of 30, 60, and 90 mg of 30 capsules without insurance averages $350 in most pharmacies but Vyvanse cost with insurance for a 30 day supply averages $250. Over a couple of months, you get to save hundreds of dollars with a good insurance cover. Vyvanse cost without insurance can only be discounted by a pharmacy’s or manufacturer’s free Vyvanse coupon. Without insurance many opt for a cheaper alternative to Vyvanse. The most common choice is Adderall which is considerably inexpensive at $743.06 for 100 tablets. Adderall is not as effective as lisdexamfetamine and could use some getting used to, but it still works in the long run. Lisdexamfetamine street value varies for different regions but much cheaper than a pharmacy or online prices. Vyvanse 60 mg street price averages $70 in states like Iowa but can go as low as $25 in Washington. The street value of the drug can be enticing to most users, especially those without a prescription. But there are no assurances of getting authentic dosages from back alley suppliers. If a patient does know how Vyvanse looks like, there is a greater chance to be fooled buying drugs on the street. Vyvanse is a potent nervous system stimulant that causes dependency if misused and also comes with its own set of side effects with continued abuse. Vyvanse online also allows transactions without a prescription with companies making discreet door to door deliveries at slightly lower prices than registered retails. 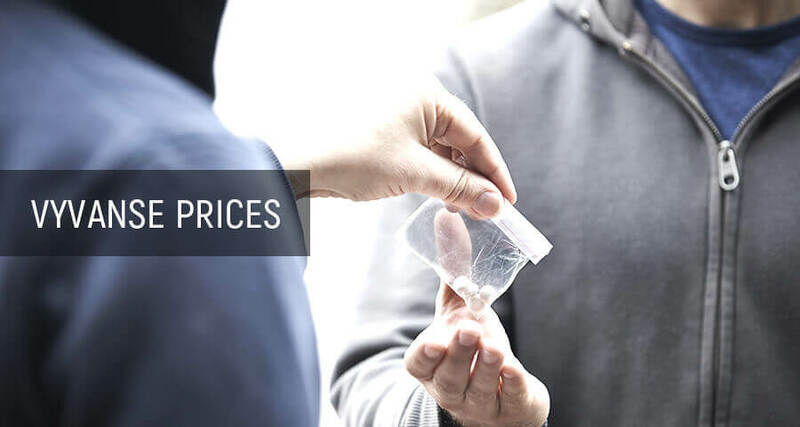 The steep prices are determined by the rapidly growing street market for lisdexamfetamine and as a result, an increasing number of individuals dependent on the drug. Vyvanse street value is inconsistent as its availability is never guaranteed. This interprets to incomplete dosages of essential drugs like Elvanse which does not serve as a remedy for Attention Deficit Hyperactivity Disorder or binge eating disorders. 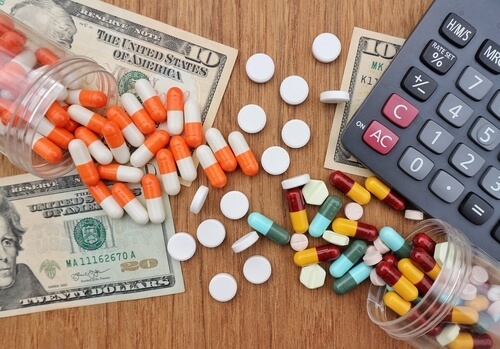 For patients who seek permanent solutions to their condition but have a low budget, they should seek special offers from pharmaceutical companies or different health groups. Lisdexamfetamine street prices are normally fashioned for Vyvanse recreational drug users. Hence, the quality may not match that of the original drug. Whether it is Vyvanse 70 mg or 30 mg street price the concentration of the drug in the streets plays a major factor in determining its price as much. The street value ranges from $0.30–0.50 per mg but for the high dose of 70 mg, the average street price is $30. It’s important to buy lisdexamfetamine from licensed suppliers to get the best value for your money. Most online platforms supply the drug illegally, so it is possible to buy Vyvanse online legally only after verifying a supplier. Get the best value for your money by developing saving strategies on the most cost-effective place to buy Vyvanse. Compare the prices and value of manufacturer and pharmacy’s free lisdexamfetamine coupons from different outlets. The price may also vary on legitimate online platforms with starter up pharmacies even offering free trial. Bringing down Vyvanse cost with insurance is probably the most long term saving solution as it facilitates you through the entire course of treatment. Other than getting insurance that covers part of the costs, free coupons go a long way to offset the steep price. Special programs for low-income patients such as Shire Cares also help out with saving money on lisdexamfetamine. Shire cares offers a free trial for up to a month to certain patients after reviewing their eligibility. The drug’s manufacturer is also lenient to customers with special savings plan on specific dosages. The lisdexamfetamine official prices differ from the prices on the streets. Of course, if a patient has no prescription, he or she is more likely to buy the drug out of the pharmacies or stores. Addicts frequently buy this drug on the streets to make Vyvanse snortable. However, the quality of such medicine can be low. There is never any guarantee that you buy the right drug on the streets. That’s why it is important always to buy drugs in the verified retailers. Addiction Resource » Addictive Substances: The Anatomy of Drug Addiction » What Is Vyvanse (Lisdexamfetamine) And Is It Addictive? » Vyvanse Cost: What Are The Official And Street Prices?